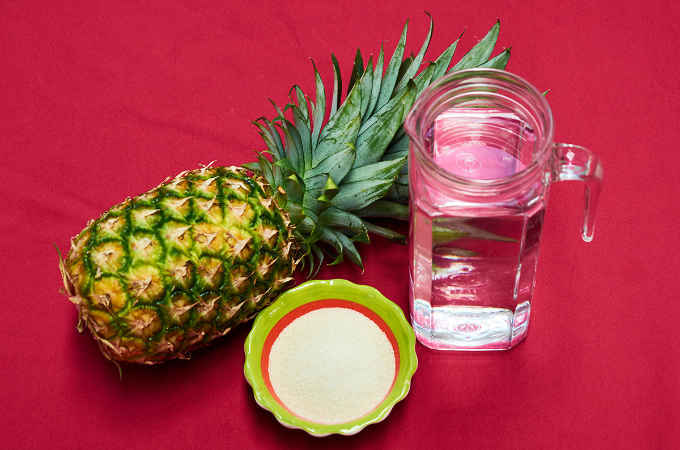 We love to drink aguas frescas, especially pineapple water. 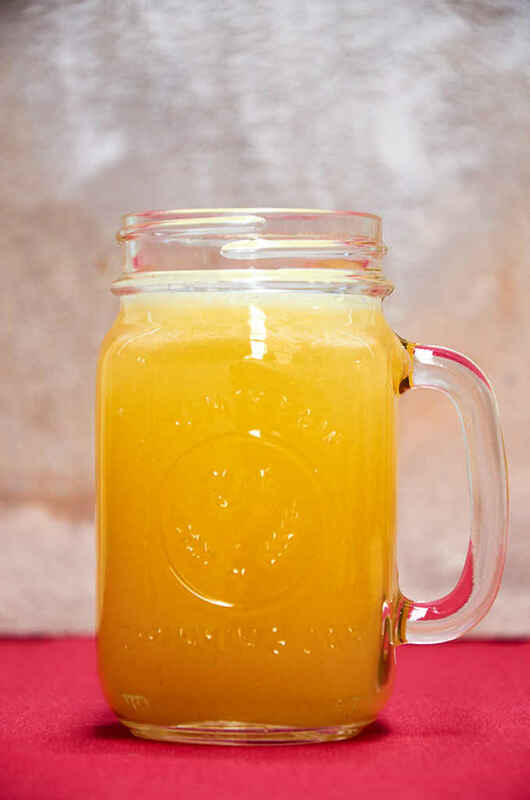 It’s refreshing, sweet, and easy to make. Any drink made with fresh fruit and blended with water is known as an agua fresca or agua de fruta in Mexico. The literal translation of agua fresca is “fresh water” and the translation of agua de fruta is “fruit water.” This is the type of drink typically served with the midday meal, the comida. Choose the ripest pineapple you can find. Ripe pineapples give slightly when you press them with your thumb. They also have the faint aroma of pineapple. Cut the pineapple into 2″ chucks. Blend with the water and sugar. You will need to blend in two batches. 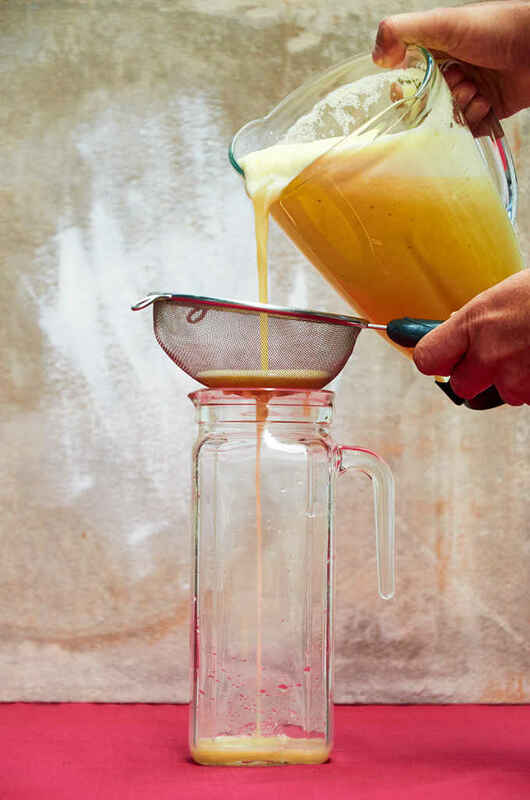 Strain the pineapple water mixture after blending to remove the pulp. Serve at room temperature or slightly chilled without ice. 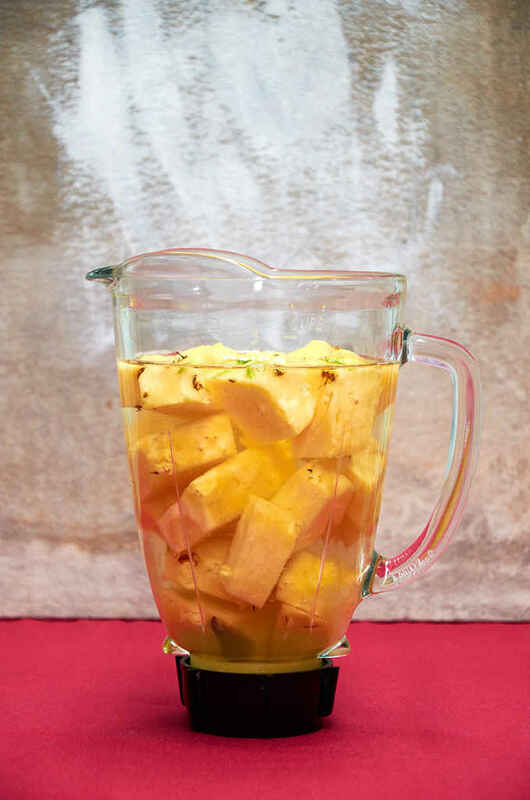 Easy to make Mexican pineapple drink, a type of agua fresca. It's fruit blended with water and a bit of sugar. Serve with the midday meal, comida. It is a great replacement for soft drinks. It satisfies the craving for something sweet with the benefit of some healthy fruit. Cut off the top and bottom of the pineapple then remove the skin. Cut the pineapple into 2" chunks. 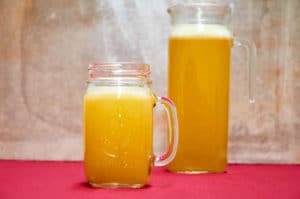 Blend the pineapple, sugar and water in two batches. Strain after blending to remove the pulp. Add another 1/2 cup sugar if you prefer a sweeter drink. A squirt of lime juice adds a little tartness. Serve at room temperature or lightly chilled for the best flavor.